The area's theater scene and entertainment are just a few of the reasons to vacation in Wimborne. This city's restaurants, bars and cheese shops attract many visitors, and its welcoming and trendy location add to the charm. Poole Harbour and Bournemouth International Centre are just a couple of the must-sees in the area. Many rental homes come with outdoor spaces, separate dining areas and full kitchens, perfect if you want to enjoy some home-cooked meals. The nearest airport is in Bournemouth (BOH-Bournemouth Intl. ), located 8.3 mi (13.3 km) from the city center. If you can't find a flight that's convenient for your trip, you could also fly into Southampton (SOU), which is 27.6 mi (44.4 km) away. Where to stay around Wimborne? 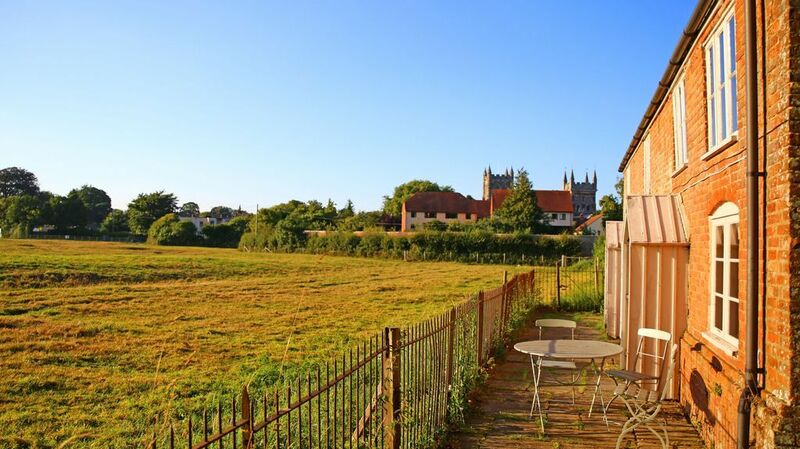 Our 2019 property listings offer a large selection of 971 vacation rentals near Wimborne. From 287 Bungalows to 376 Houses, find a unique house rental for you to enjoy a memorable stay with your family and friends. The best places to stay near Wimborne for a holiday or a weekend are on HomeAway. What are the popular points of interest near where I can stay when traveling to Wimborne? But there are many other points of interest around Wimborne listed on HomeAway where you can find your place to stay. Please use our search bar to access the selection of vacation rentals available near the point of interest of your choice. Can I rent Bungalows in Wimborne? Can I find a vacation rental with pool in Wimborne? Yes, you can select your preferred vacation rental with pool among our 46 vacation rentals with pool available in Wimborne. Please use our search bar to access the selection of vacation rentals available.